Bulu Box ~ Healthier Products Shipped Right to Your Door 1/2 Off 3 Month Subscription! The perfect partner in the pursuit of a healthier you, Bulu Box is like having a personal trainer and a nutritionist as a best friend. Each month, a box of healthy discoveries is shipped right to your door for just $10. You learn about that month’s 4-5 premium samples, try each one and see what fits into your individual healthy lifestyle. For sharing your opinions on each month’s samples through a quick survey, you will receive 50 Rewards Points (that’s $5!) to use in the shop to get more of your favorites. 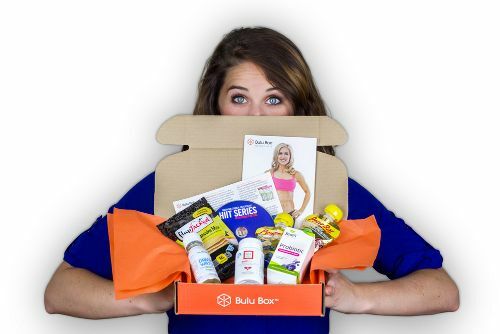 Get your Bulu Box started HERE! **Disclaimer: I am receiving a free product to help facilitate this upcoming review. All reviews expressed on http://www.funlivingfrugal.com are ALWAYS my very own honest opinion. Previous postMovie Tavern ~ B1G1 FREE Movie Ticket to Hotel Transylvania 2 OR Goosebumps (10/31) Only! Next post5 Christmas Traditions to Start With Your Family!